1. Add a round just as you normally do. 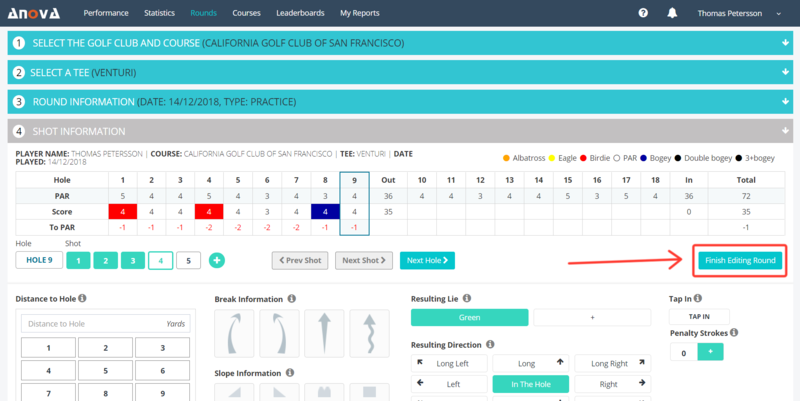 Clicking on this button finishes the round as a 9-hole round. If you instead would like to go ahead and add all 18 holes, you can just keep adding the rest of the holes to this round just as you normally do. If you are using our iPhone app, you will instead see a 'Finish as a 9-hole round' button up on the top header.